Dad Needs a Bigger Bass Fishing Boat. Bass fishing has become a billion plus dollar industry and Largemouth Bass in particular are one of the most sought after in North America. 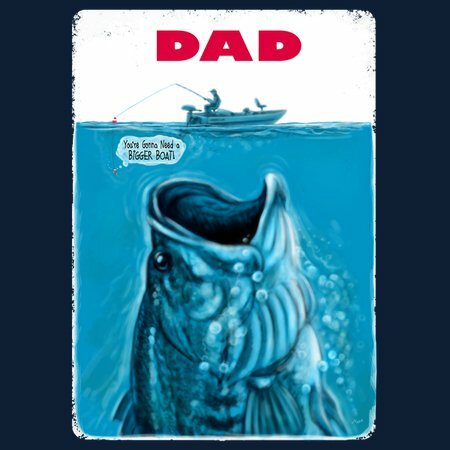 This design is a movie parody featuring a Bigmouth heading not for that juicy earthworm dangling from a hook, but for the bass boat and the angler fishing from it. The bait screams as it throws out the famous line.. "you're gonna need a BIGGER Boat!" 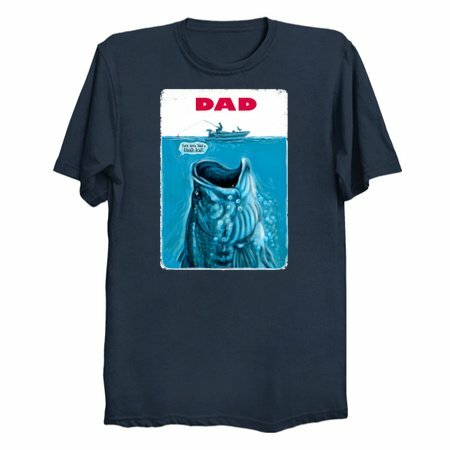 A Perfect Father's Day or Birthday Gift Idea for Dad.